Israeli center already second largest outside of California campus, but new move sees Apple expand its offices, add 100s of Israeli workers. Apple, the iconic global technology giant, is further building its presence in Israel by expanding the size of the offices in its new Herzliya headquarters. 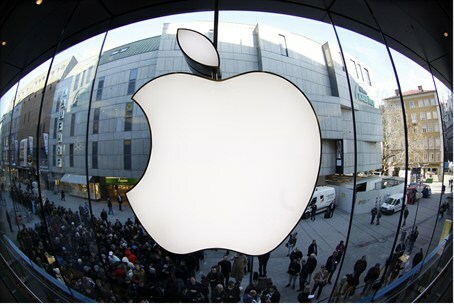 According to a report in the Hebrew language The Marker on Wednesday, Apple has decided to increase the size of its second Herzliya research building to be built later this year by no less than 4,000 meters. The extra office space is estimated to allow for the employment of 150 to 250 new Israeli employees. Apple currently employees 700 workers in Israel, most of them chip engineers; its Israel development center is Apple's largest in the world aside from its central campus in Cupertino, California. The mammoth company entered Israel just two-and-a-half years ago in 2013. In the original deal sealed at that time, aside from its 12,500 meter central Herzliya headquarters, there was an option to expand the size of its second Herzliya building. As that second building nears occupancy, Apple has decided to activate that option, with the office likely to be operational in the last quarter of 2015. Aside from its Herzliya and Haifa headquarters, Apple opened its third Israeli development center in Raanana in 2013. Indicating Apple's focus on Israel, the company's CEO Tim Cook visited Israel for the first time in February, and stressed the strategic importance for Apple in its activities in the Jewish state. The Israeli connection was seen ago just two weeks ago, when the monolithic company obtained the Israeli company LinX, in a deal estimated to have been worth $18 million. LinX specializes in creating multi-aperture camera equipment for mobile devices.